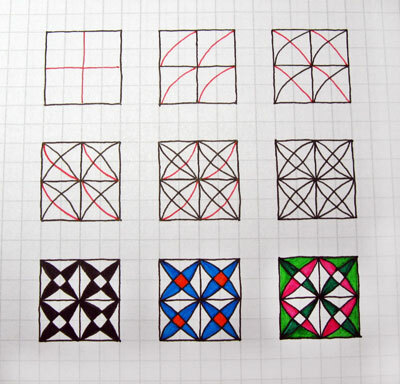 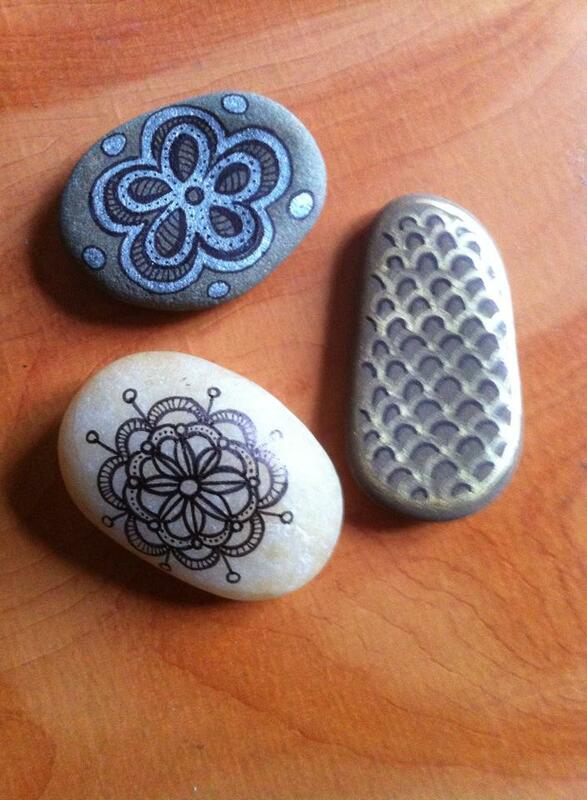 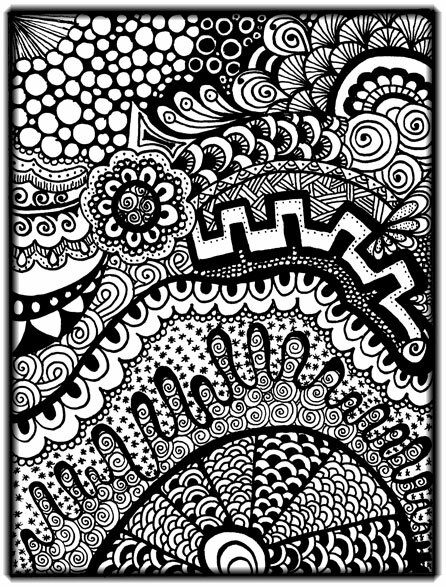 Step by step instructions how to draw a geometric tangle pattern and some variations. 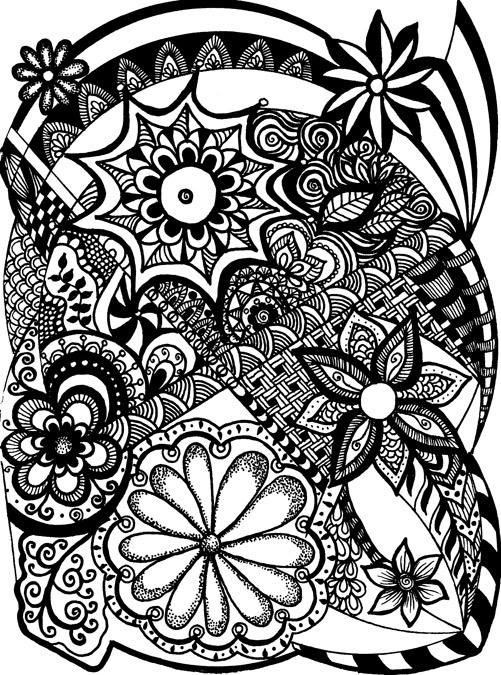 If you color it in you can get many different looks – here’s a video how to use color pens to make the third variation. 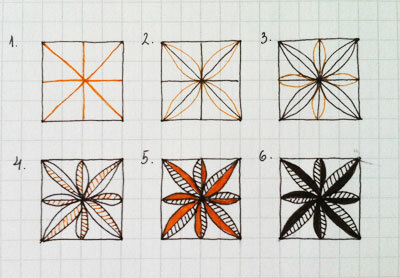 Step by step instructions for a floral grid based tangle pattern.